Like any other travel bloggers do, I create and share contents of my blog through writing and photography. Recently, more and more travel bloggers are now into video blogging (or vlogging) to supplement their blog content. I never thought about it because I'm a bit conscious of the way I look on screen. I mean, I'm more of a 'behind the scenes' guy, and I always look awkward on screen. With some words of encouragement, I finally gave it a try last January on my Winter trip in South Korea. The shoot was actually fun and liberating, but the editing part is a totally different story. 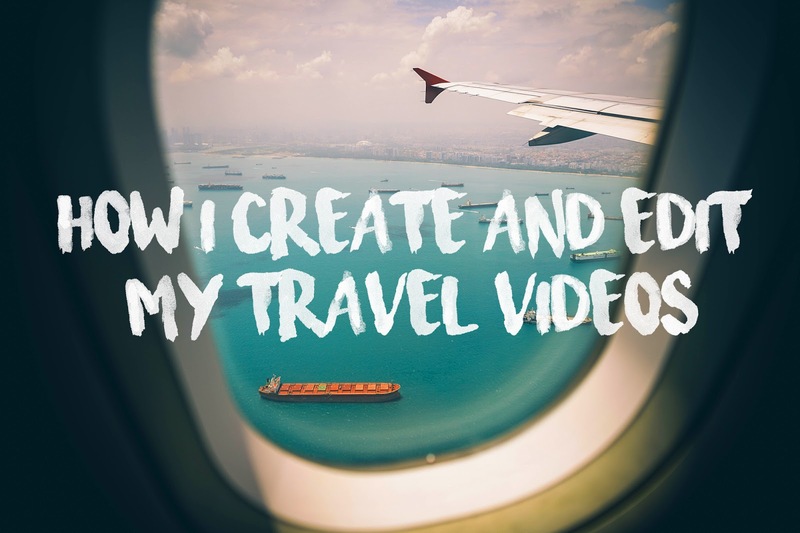 I'm not yet an expert in video blogging or videography, but I feel like sharing some of the things I do whenever I edit my travel videos and travel video blogs. This is actually the hardest part. Contrary to what my friends believe, I do not shoot random videos and just figure out later on the video editing program on how I'll stitch them all and create a story out if it. Usually, months before the trip, I start looking for some great songs for my travel video. I don't know how to put these into words, but when searching for the perfect song, it should have the right vibe. There are some instances wherein whenever I hear the right song for the trip, my mind automatically plays the possible transitions, video clips, and the color grading. If you don't want to miss every detail of your travel video, you can write it in your notebook, or any note-saving app. Whatever floats your boat. Speaking of choosing the right song, if you want to monetize your video, you need to double check whether the song is allowed for sharing, or not. We're talking about intellectual property here, and YouTube, Vimeo, and Facebook have the right to take down your video once they detect that your video is violating any copyright issues. YouTube has a channel dedicated to copyright-free songs that you can use for free. Now, the fun part - editing! The first part is really crucial and important since it saves you time and effort if you already have a game plan for the editing part. There are tons of editing apps available such as Adobe Premiere Pro, iMovie, and Final Cut Pro X. I was once an iMovie user but ever since I switched to Final Cut Pro X, life became easier. Don't get me wrong, iMovie is a great video editing app, but I can do more in Final Cut Pro X. There are so many resources available online (transitions and LUTs for color grading) for free. I usually save videos on 720p (if I shoot in 60fps) or 1080p (if I shoot clips in 30fps or less). 1) When shooting a video blog, I usually shoot at 60fps 720p (or 1080p if I'm using my iPhone 7). At 60fps, slow-mo clips are still smooth. This setting is perfect if you are planning to shoot a cinematography type of video. Shooting at 30fps is totally fine, unless if you're planning to slow down the clips - it won't be that smooth. 2) I used to shoot videos using my Canon EOS 1100D (a DSLR). A few months ago, I made a big switch and bought a mirrorless camera (Canon EOS M10). It's a great tool for vlogging and photography. Plus, it's super lightweight and fits in my small bag. 3) My travel video inspirations are Sam Kolder, Ollie Ritchie, and TaylorCutFilms. Their videos are absolutely stunning. How I wish I were as talented as they are. 4) Have fun! Video editing is therapeutical, well for me. Here are some of the videos I made. Hope you guys enjoy as much as I enjoyed creating these.